The members of The Settlers first got together in 1962 as the Olympics to play local teen dances, weddings & showers. The group was made up of Jean Cottreau(Guitar,Bass & Sax), John Cottreau(Drummer), Paul Boudreau(Guitar) and Junior Corporon (Guitar), all from Wedgeport. 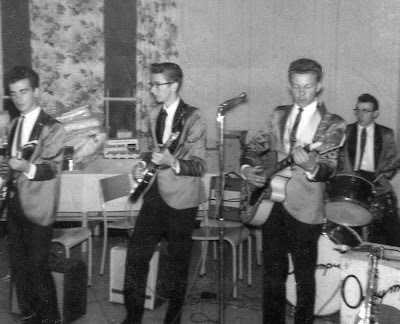 By the summer of 1963 they were the Friday night House Band at the CapeView Diner in Mavilette, and that summer also played in a Battle of the Bands, as well as the Yarmouth Exhibition. With members graduating from high school, the end of ’63 saw the group disband, with members moving to New Brunswick & Montreal. By the end of the decade however they were all back in Wedgeport and got back together as The Settlers. The name was chosen because all the members are direct descendants of the original 1767 settlers of the village of Wedgeport then known as Bas de Touquet(Lower Tusket). Through the 70’s they were the House Band at the popular Columbus Club Saturday night dances. Packing the house with crowds from all parts of the Tri-Counties. In the 80’s the group began a rotation of most of the popular Sat. dance halls & Legions from Clare to Clark’s Harbour. 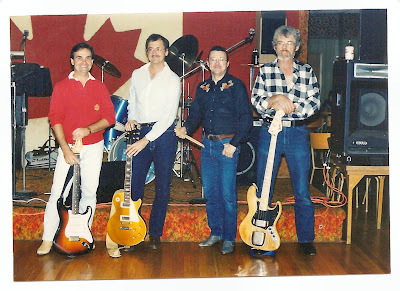 By the end of the 80’s Jean Cottreau the bass player was replaced by Tim Smith from Yarmouth(passed away ,June 30 2014) who stayed with the band until it’s final Gig at the 1991 New Years Dance at the Yarmouth Legion. John Cottreau(Drummer Boy) has passed away, Jean, Paul & Jr. still live in Wedgeport and Tim lives in Carleton. Settlers 1989 With Tim on Bass.